Jio your fambam for a crab feast at Wok Master. 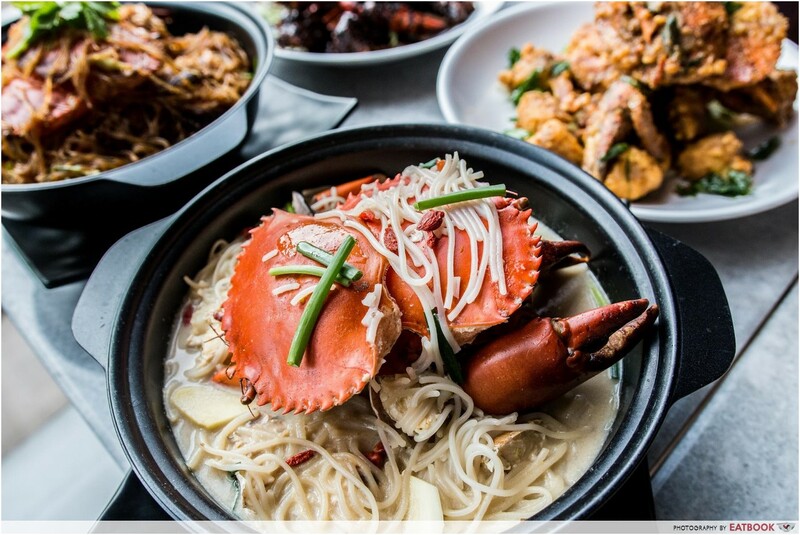 Aside from classics such as chilli, black pepper, and salted egg crab, they also whip up mouthwatering Crab Bee Hoon Soup ($30++ for one, $48++ for two crabs) and Crab Tang Hoon Dry ($30++ for one, $48++ for two crabs). The Indonesian mud crabs they use are extremely fresh and are all around 500g each. The restaurant is fully air-conditioned, so no sweating buckets while struggling to peel your crabs here! Promotion: Get two whole crabs with chilli, black pepper, or salted egg sauce at $39.90++ (U.P. $60++).